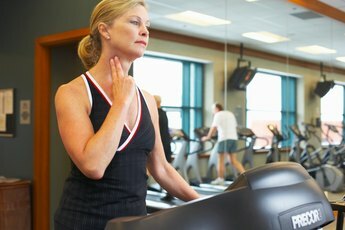 What Is the Maximum Time You Should Work Out? Weightlifting for too long can cause muscle strain. The maximum amount of time that you should work out each day depends on your own level of fitness and experience. If you're new to exercise, 30 minutes may be the most you can handle, but if you're experienced, you might be able to spend two hours at the gym. Experts agree that there is a maximum amount of time that you should work out per week -- depending on the type of exercise -- to avoid overtraining and muscle strain. Without rest, your body cannot heal itself between workouts. If you continue to exercise the same muscles without giving them time to recover, you risk overtraining and injury. Overtraining -- training for so long that you have difficulty recovering -- can cause fatigue, depression, weight loss and minor injuries. Achieve rest by getting a good night's sleep and by taking a break between workouts. Take at least one day off every week to recover from exercise. On your resting days, stretch for longer than you would on your workout days, focusing on any muscles that feel sore. If you really feel an urge to stay active on your resting days, swim a few easy laps in the pool for a low-impact workout. Performing aerobic exercise for too long can lead to heart problems, according to a 2008 study conducted for the "European Heart Journal." This study found that people who ran every day for many years had significantly more heart tissue scarring and artery plaque buildup than a representative group of nonathletes. Too much aerobic exercise can negatively affect your metabolism, leading to muscle loss. Avoid health problems by limiting aerobic exercise to a maximum of five days per week. Anaerobic exercise works your body at a high level of intensity, and as such, you should limit it. Weightlifting for too long, for example, can strain your muscles and cause injury. Aim for a maximum of two to three days of anaerobic exercise per week with one to two days of rest in between. Ensure that your anaerobic exercise works a variety of muscle groups by only working each group once or twice per week. Pay attention to your body and stop working out if you feel exhausted or in pain. If you always feel sore the day after working out, you have found your personal maximum -- try cutting down your workout by 10 minutes. No matter how long you are working out, start your workouts with several minutes of light aerobic activity. Start and end your workouts with several minutes of stretching to avoid injury. 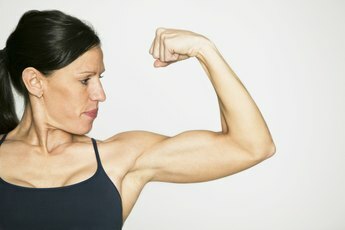 BodyBuilding.com: Not Recovering? Overtraining and Diet May Be the Culprit! Ace Fitness: Is It True That I Should Only Perform Anaerobic Exercise Two to Three Times per Week With at Least a Day Off in Between?